Tibet biking tips you may need to know before your highland bike tour. 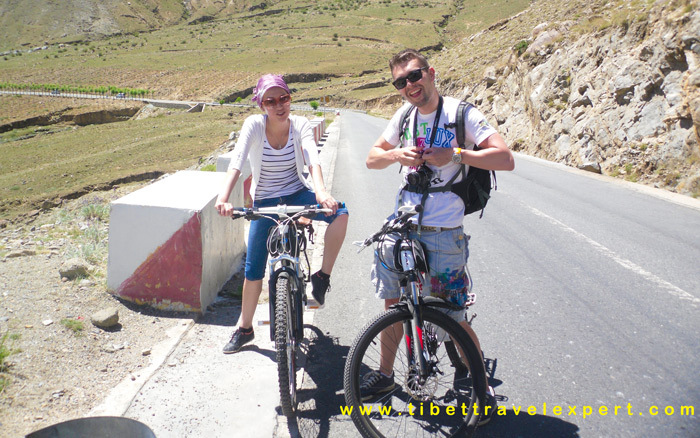 Cycling in Tibet is more and more popular among young people nowadays. Since you may hike to some high altitude places, you need to prepare some necessary things in advance. For example, you need to know what kinds of travel permits you need when you go to different regions. Besides, you also need pack some essential equipment and warm clothes according to the actual weather. Meanwhile, you’d better know the beat seasons of trekking in Tibet, so that you can plan your Tibet bike tour earlier with best views of this wonderland.